Domaine des Baumard is one of the most revered estates in the Loire Valley and was named as one of 2017's Top 100 Wineries by Wine & Spirits magazine. 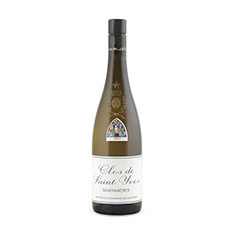 This particular wine is a single-vineyard Savennières made of Chenin Blanc grown in the domaine's Clos St Yves site, a six-hectare parcel where the vines grow in shale layered over sandstone. Expect this wine to show serious finesse and refinement for a decade or more.